Superheroes are identified by their unique powers and skills allowing them to see and act in ways that inspire awe in the rest of us. Do scientists have superhero powers? Our Snow on Ice scientists have spent years refining their skills and building their understandings of the Earth and Earth processes. 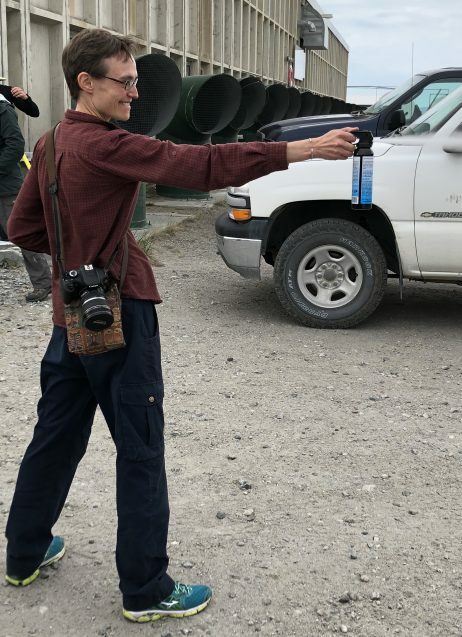 They are able to use clues in the landscape to build the ice sheet history for an area, read the mud in a sediment sample to see back in time, and develop computer models to project from the past into the future. They are agile enough to twist and adjust with resilience to any challenge tossed their way, such as our unexpected setback with the redeployment of our helicopter. 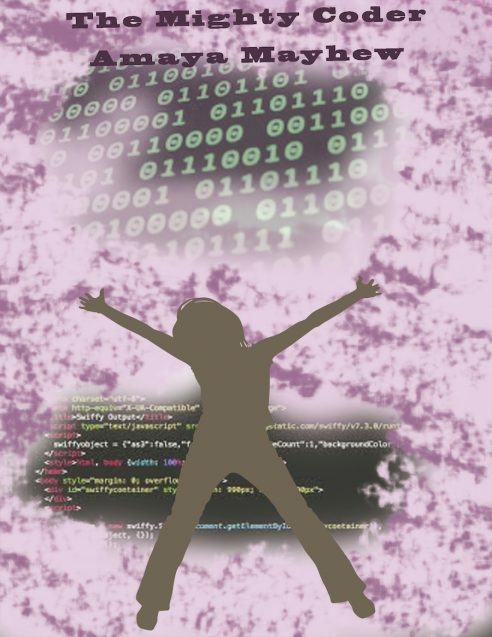 Science skills easily translate into the world of superheroes via super-human strength, x-ray vision, and magically ordered sequences in computer code. Recognizing the ability of superheroes to capture students’ imagination and interest, Snow on Ice selected them as a method for communicating our science. Working with the science team and a graphic artist, we are developing a series of science superheroes showcasing the unique superskills they bring to the project. 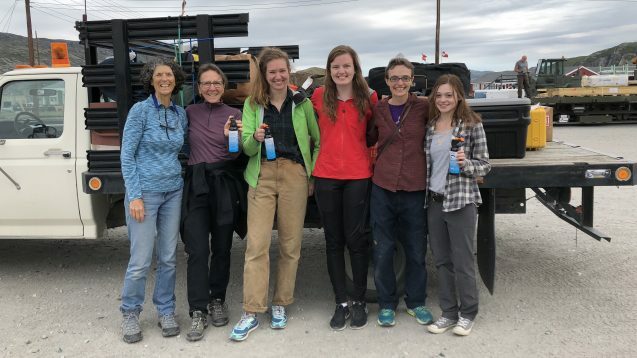 Our superhero team for this field season loaded up and ready to go. L-R: M. Turrin, A. McKee, A. Cluett, M. Corcoran, E. Thomas, K. Hollister. 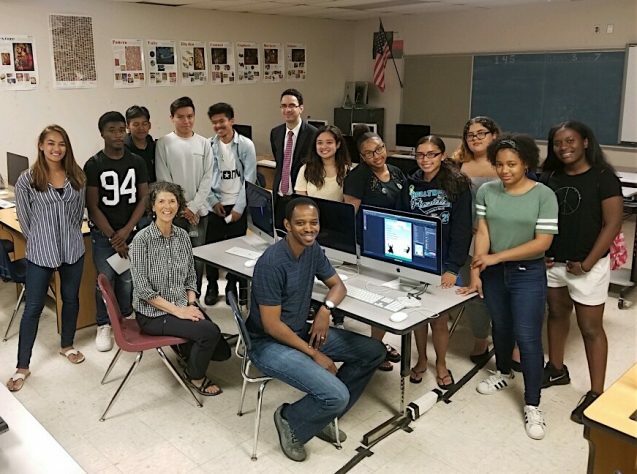 In preparation for our field season, we had a chance to visit and work with the computer graphics class of P-Tech Riverside High School in Yonkers. Their core team of teachers was excited about the opportunity to blend climate science with this very technical skills-based class that often focuses on developing logos and designs for school t-shirts or key chains. Prior to our visit the students had no familiarity with the project’s science, and only a limited introduction to the graphics program. We focused our introduction on the scientists themselves and what we had identified as the ‘super power or skill’ that each one brought to the overall project goal. M. Turrin working with students and staff at Riverside High School in Yonkers, New York, on the science superheros communication project. The students were encouraged to consider themselves as scientists or involved in any area of STEM. They identified a topic that interested them and the skills and powers they would need to tackle that work, and then created their own superhero avatar. Below are a few samples of the student superheroes and the science powers they selected. Nicolás Young in our project uses his super power to hunt for the perfect rock sample, honing in on just the right rock for extracting the exposure dating information he needs to establish the time of Greenland ice retreat. For Brandon at Riverside High School, this translated into a need for super human strength to pluck out just the right rock sample. 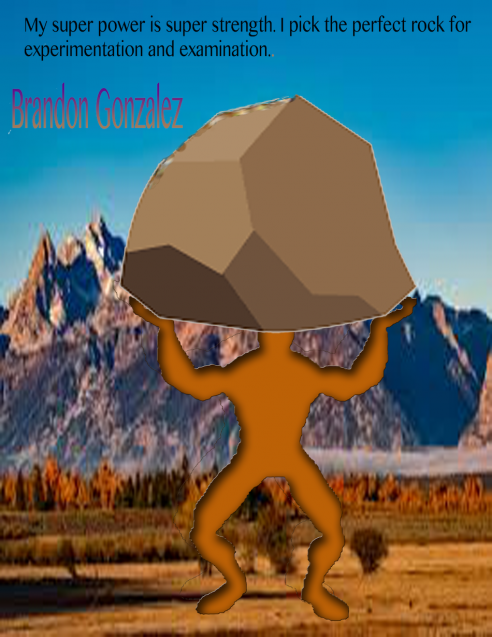 You can see him heaving the massive boulder over his head to carry it off to the lab. 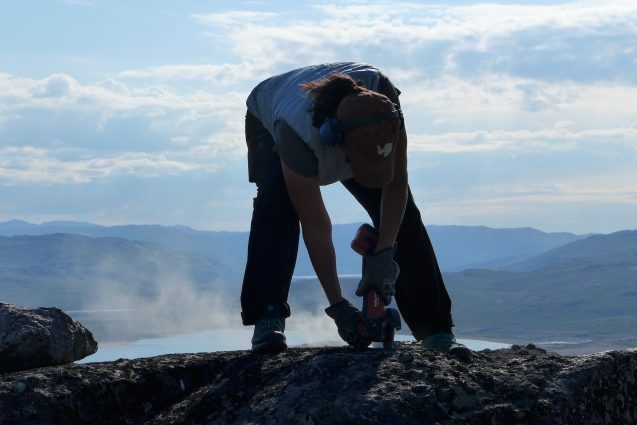 Jessica Bagley uses her super power to look back in time and harness the climate stories locked in Greenland’s ice cores. 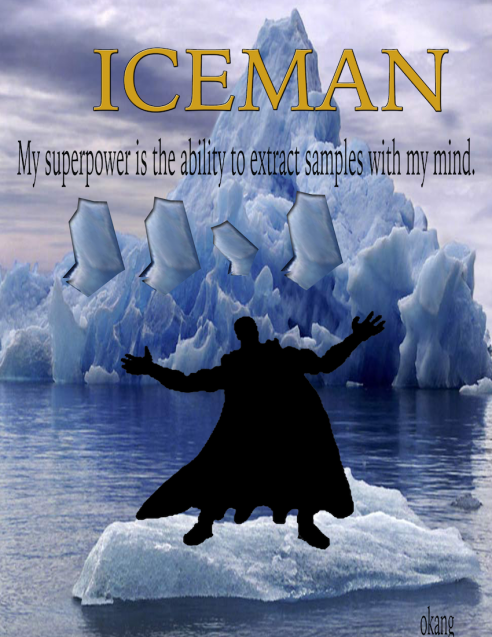 For Okand in Riverside High School, this translated into an extremely powerful caped superhero who seems to harness all creation as he uses his mind to extract the large ice samples needed for his work. Our modeling team of Jake Downs and Jesse Johnson integrate the various data collected from the project to build a mechanism for looking at ice sheet thickness and extent, from the past and into the future. Amaya at Riverside High School fit this with her pre-existing interest in computers, translating it into the power to capture the code of nature and swirl it into an organization that was uncrackable, able to protect climate and nature from any meddling by others. Scientists do have incredible powers, like their ability to pose researchable questions, to use their powers of observation, to decode landscapes, to bring together information in new and unique ways to address some of our generation’s most ‘wicked’ problems. Engaging students with these powers provides new opportunities for recruitment and building diversity within our next generation of scientists. Special Thanks to Kelly Jakab and the full Yonkers Riverside High School P-Tech team and their students for their time and work with us. To read about Anna Mckee’s work check our her portfolio art.